I have finally come to terms with the fact that my mind never goes to sleep.Well at least of late. While this may be encouraging if you were to look at it as ,say, that my dreams are so big that they are literally dripping out of my brain every second, then Yes! That I am constantly planning and strategizing all for the better thus keeping the turning wheels of my mind forever in motion, then absolutely YES! THAT, I don’t know, I am mentally doing my assignment and preparing for class the next day in my sleep, then of course YES! But no…I mean yes… this is what goes through my brain in the wee hours of the night when my body has fully and completely shut down but my brain is fully awake. But No! 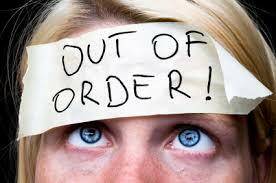 Somehow, of late, I cannot seem to completely fall asleep both body and mind. I mean, I may lay there as dead as a corpse only thing differentiating us being my breathing pattern but my mind is as awake as a bat in the night time. So this is where my “no” comes in. I particularly do not think this is a good thing. I cannot tell you how much I look forward to going to bed only to feel like I was awake the whole night. I am particularly envious of my brother who falls completely asleep such that when you try and wake him up it is quite the struggle because that life in Lala Land is so good he doesn’t want to leave. I have not been to Lala Land in weeks and how I long for it. Crave for it. Yearn for it. While I did acknowledge that I was not completely and fully falling asleep, I never quite saw it as a major problem. I mean, I was tired the next day but not so much and I actually felt more productive because I had already planned everything in my mind, all that I needed to do was execute it. Well until today, I have been in the house the whole day because I do not go to school on Wednesday’s and my task for work today was postponed. I was excited that I could finally get in a little rest during the day. At about 2:45pm I decided to take a short siesta and set the alarm for 4pm which was quite unnecessary to tell you the truth. See I did go to sleep, “blanky” and everything but my mind would just not shut down. In that One hour and fifteen minutes I planned what I would do when I woke up, debated on whether I would make dinner or not, pondered on the situation at hand when it came to my love life, thought about the investment forum I was invited to and how unprepared I was, I even got as far as making a double mental note to think seriously about what I want to study for masters so that I can start the required processes. ALL THE WHILE, I counted down how many more minutes I had of sleep. Somehow, I could tell how long my eyes had been shut and how many more minutes I had of “shut eye” to go. I literally spoke to my mind and asked it to shut down but no,it just kept going. And as they may have it, promptly at 3:59, even before the alarm went off, my eyes flew open and I jumbled to grab my phone before the alarm went off so that I could turn it off. I literally scared myself. My “siesta” came and went and I did not sleep even for fifteen minutes. It is in honor of female bloggers out there.We need appreciation every once in a while and this award is just for that purpose. Look at me saying “we” claiming to be a blogger here, hey! Lol. I was nominated by the writer of theafricangirl blog, Michelle okeyo. Thank you mama. Simba! King of the Animal Kingdom. Yes a lion is the animal I would want to be. Wait scratch that,not the lion, the LIONESS! There we go ,I got it now. Let’s face it, the Lioness is basically the one who runs the pride with the hunting and what not , the lion is just there to fend off attackers and look scary. Lol. No i’m not being an animal feminist I promise. Anywaaaaay….this cat family is where I would want to be. Why? Because of this wholeness, the power,the Leadership, the ” We made it” they exude. The ability to speak life into other animals,lol….did you read fables as a child? I want to make it in life and I want to stand tall and not be ashamed. I want to be able to command a room with my personality and speak life into others. Like the Lion, I want to lead but with humility. I want to motivate people and have them believe in themselves in an instant because I am a Lion, I am surely speaking the truth, you know? Does this come off as “too proud?” I hope not….The lion/lioness because at the moment I’m probably as timid as a mouse. We can’t be that, I can’t be that. Not today. Not in this life. You know? 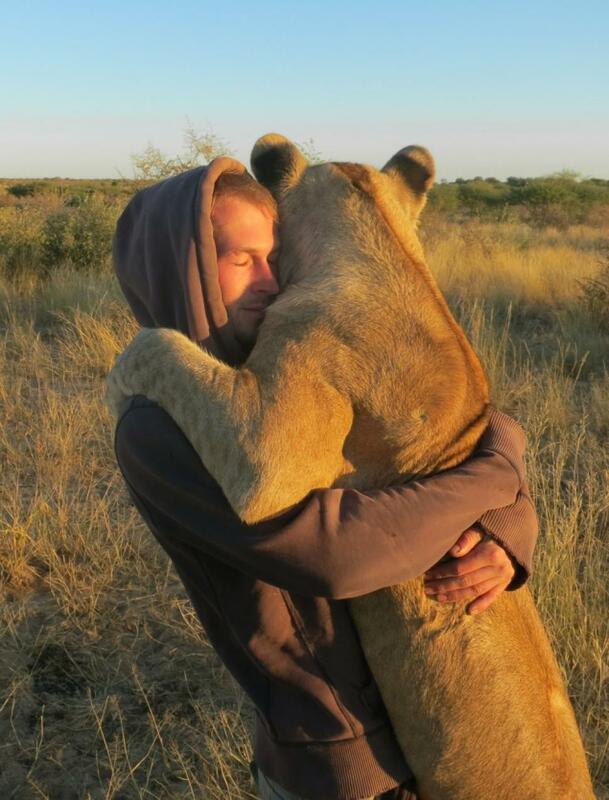 And Just look how much love she has to give…Definitely a lioness! I had to Google this. Lol. I mean I generally know what a legacy is but just to be sure you know? Well the legacy I would like to leave behind is that….wow this is a bit hard. Which is a bit embarrassing. Okay okay… I want to be remembered for many things, for my want of quality output in whatever I do, for my passion for fashion, for my drive and ambition , but most of all, If you remember none of that, remember my smile. I don’t know who smiles more than I do….I have received quite the backlash for always smiling which I agree sometimes lets people get too comfortable and even gets them to take advantage. But the Smile on my face when I am having the hardest day you could possibly imagine, when I am crying on the inside, when I can’t afford to smile….My smile to you so that you may have a better day than I am having , My smile to you because no one has smiled at you that day, My smile to you that shows you that God is very much present, My smile to you not so that you like me, but because He has given me another day to smile…That is what I want to be remembered for. That I could always afford a smile….even to the ” Least of his brothers” . Matthew 25:40 ( I know it is not food or drink or even going to see someone in jail, but i think it qualifies)and even at the lowest points of my days and life. Name one thing you love about yourself, why? I love that I always look to see the good in others before anything else. I have been called naive and “too nice” and this has even got some to take advantage of me but I do not apologize for it. Sure I am more careful now and I make sure that my ” Niceness” is not taken advantage of , but on my first encounter with someone I always look to see the good. There are many good people out there but there are bad people too and it is unfortunate when that is the first vibe I get when I meet someone. But oh well. I love this about myself because it lets me give everyone a fair chance,no discrimination. The case of whether I can stand one’s not so good traits after I have seen the good is another story though. Unfortunate but true. What would you like to change about yourself or improve on? Improve on my patience. I changed it and became a bit more patient over the months but I must admit I still get impatient many a times. With people, Slow service,myself ….I like results and I like them quick. Let’s face it though, in this life it is never always going to be the case and therefore I need to practice patience. When the waiter said 5 minutes and they take 15 minutes. When we agreed to meet at 1pm and you show up at 1:30pm. When someone has a character trait that pisses you off but you have to get through an hour or more without snapping at them because they probably can’t help it. Patience… I need to improve on that. If you could fly for a day, where would you go? SWEDEN! I really did fall in love with this Country and I would go back in a heartbeat if the opportunity presented itself. Jag älskar Sverige! The people , the life , the atmosphere, the language and culture! I would agree to deal with the weather in Winter if it meant I went back to the place that stole my heart. If you could have supernatural abilities what would it/they be? The ability to see into the future. Not being able to know what tomorrow holds is scary for a person who likes to make sure that everything will be in order and work out as PLANNED. I’m slowly accepting that that will never be the case and it is okay. sigh! Where would you like to live? Why? Ummm like you don’t know my answer already. SWEDEN , duuuh! Guys…I don’t know what it is but I feel strongly for this country. I have seen a future ( Hah! Yes I got supernatural powers for a day) in Sweden. With a boyfriend/husband and a job and myself speaking Swedish. I have seen it. Amen! My mother! I would do anything to see her again. To “meet” her. In the future, tomorrow, here or in heaven. To be honest if she was to come back, I would probably not be afraid. I have had dreams where she comes back, she keeps her distance ,and I’m scared at first but I accept it. Because I miss her terribly. Because I would do anything to be with my mother again. Missing you miss thing. I blog as a form of therapy for my soul. For me AND for my readers. To help me/ us get through the painful losses in our lives by sharing and knowing that we are not the only ones out there going through something like that. Blogging allows me to let out things that I would otherwise keep in my heart for fear of scaring those close to me if I told them out rightly. For fear of making them uncomfortable. If I am being honest though…I myself would not be able to let it out in words even if someone was willing. It would be hard. But behind the screen ,this screen,It is much easier.And so….I blog. Would you consider yourself happy? Today? Right here and now? No….not as much as I would like to be. I am going through something. Something because I don’t know what else to call it seeing as I do not even know what is bothering me. All I know is that I have been happier and the way I am currently feeling is not a way I want to be feeling. I have no idea what is going on to be honest. My dad is going nuts asking me what is wrong and me saying “nothing” because I do not know what else to say because I really don’t know. I mean I am not constantly gloomy and mopey… but it is obvious that I am not me. Hopefully I get over this low soon enough . Well That’s it Folks. Once again, Thank you Michelle Okeyo for the nomination. I still Do not know how to tag on here but hopefully you get an email notifying you of this post. You know with me being on your favorites and all, you probably have me on mail too.lol. Thanks Girly.